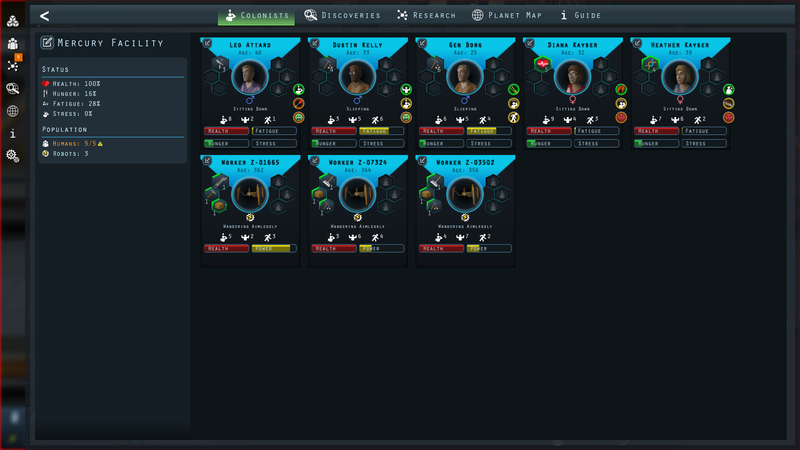 Manage a group of intrepid colonists as they attempt to survive on an alien world. Automated machine construction was sent ahead to create the underground Mercury Facility, but something has gone wrong. Your colonists awake to find the facility in ruin. Expand the colony, grow crops, build structures, recover technologies and discover lost secrets to ensure the survival of your new home away from home. Mercury Fallen is a simulation game which focuses on building, crafting and exploration. The choices you make will decide the fate of your colony. 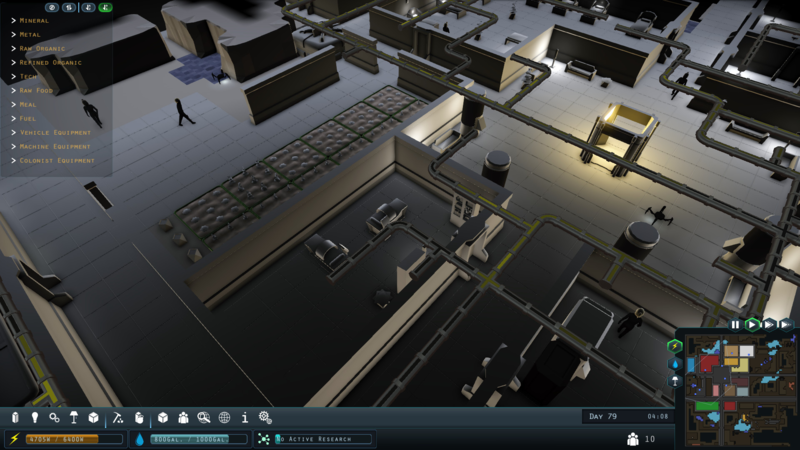 Tim Pelham began development on Mercury Fallen in early 2016, under the codename Cryopod. 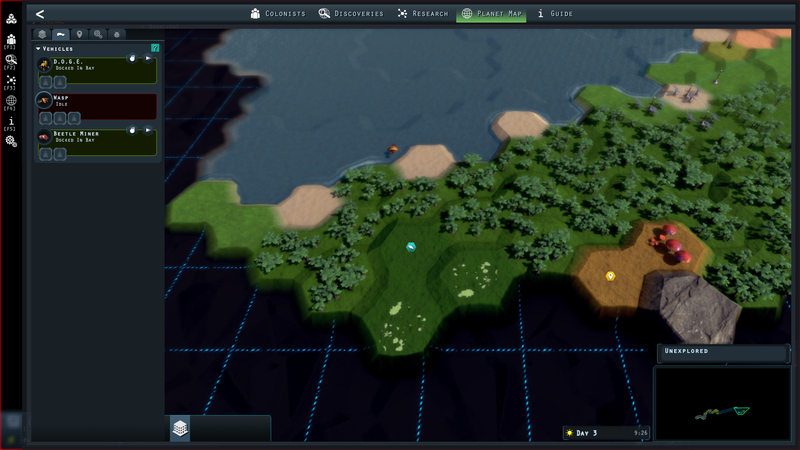 The initial design scope for the project small, but after several prototypes, the focus of the game shifted towards colony management and exploration. What started as a side project took on a life of its own by late 2016. In early 2017, the project was renamed Mercury Fallen. It was released on Itch.IO as a free prototype demo on April 7, 2017. Paid early access was released the following month, and Mercury Fallen quickly saw more than 10,000 downloads. 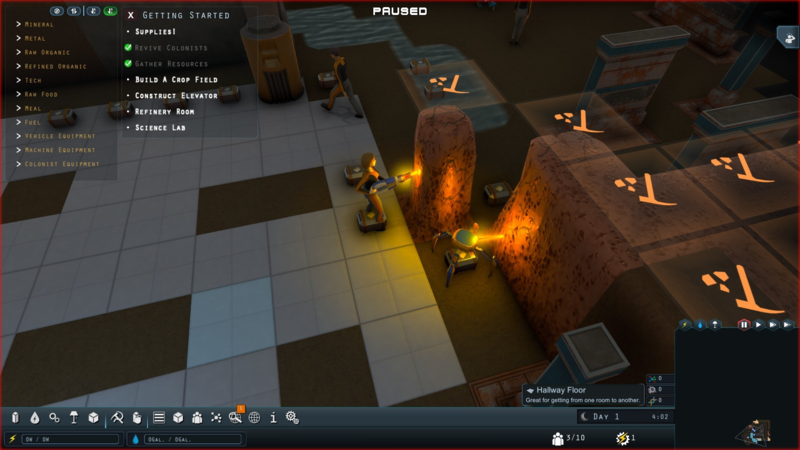 The game has continued to evolve since its release on Steam on October 16, 2017. 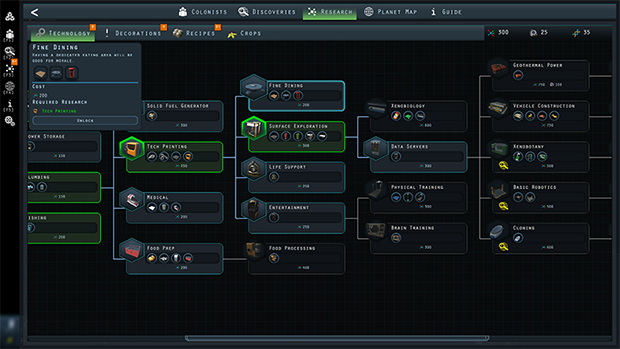 Additional content has been developed such as the discovery system, story elements, robot construction, alien crops, planet exploration and more. 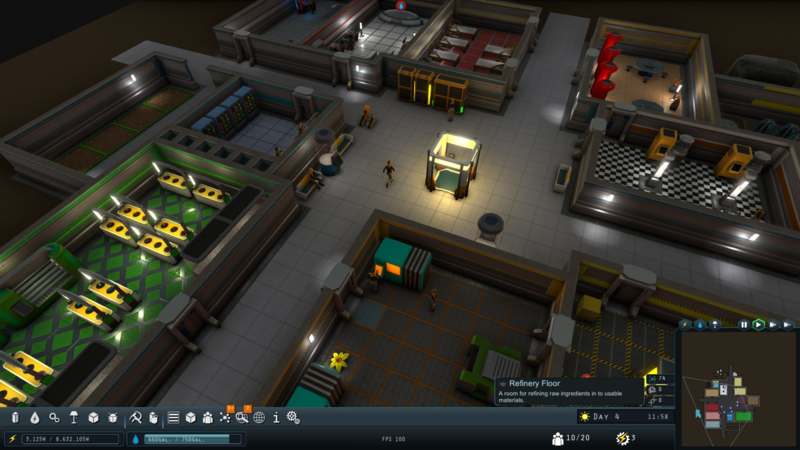 Manage colonists’ injuries, ailments, jobs, quirks and needs. 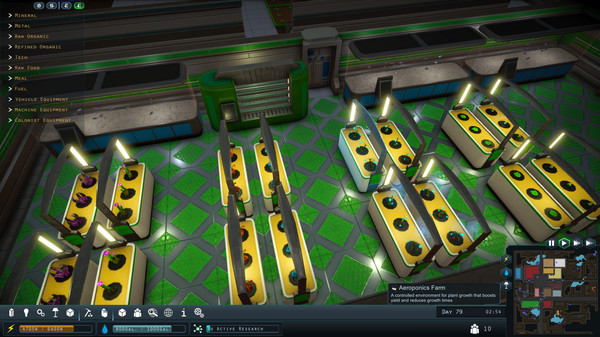 Refine materials at various stations in order to design and create facility rooms, machines and decorations. Construct vehicles and explore the planet surface in search of new resources and discoveries. Uncover additional colonists, robots and discoveries hidden in collapsed sections of the Mercury Facility. 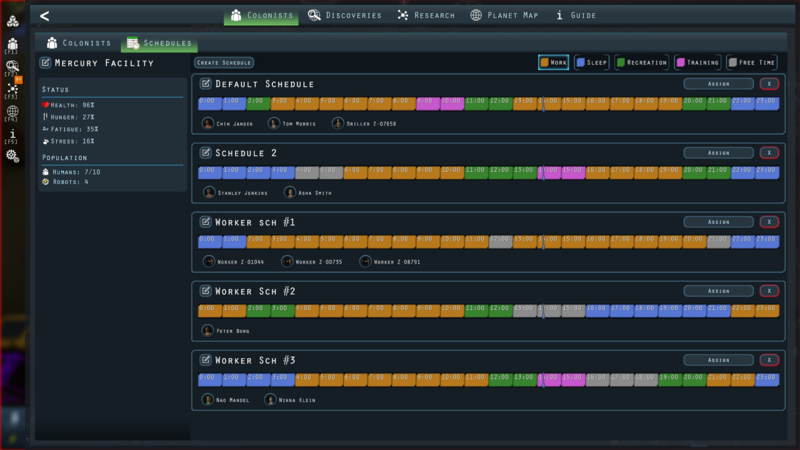 Customize your colonists name and outfit colors. Grow clones and assemble robots to expand your facility population. "Mercury Fallen is the game you need to own!" Follow development news and release info mercuryfallen.com. More information on Nitrous Butterfly, our logo & relevant media are available here.